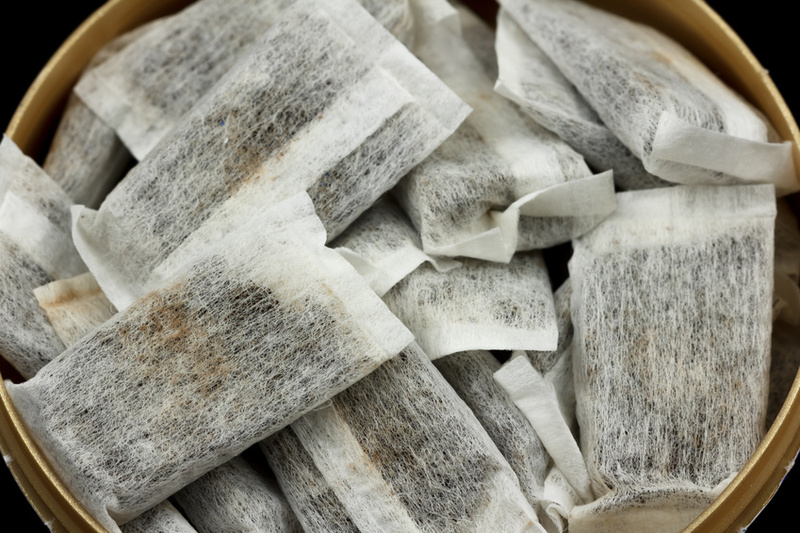 In a Comment submitted to the U.S. Food and Drug Administration (FDA), tobacco policy expert from The Heartland Institute Lindsay Stroud, urges the agency to recognize the reduced harm of snus products. Lindsey Stroud joined The Heartland Institute in 2016 and was named State Government Relations Manager in 2017. Her work includes research on vaping and tobacco policy, and Article V constitutional reform efforts. Stroud is co-author of Vaping, E-Cigarettes, and Public Policy Toward Alternatives to Smoking and her work on vaping and tobacco harm reduction has appeared in several papers. In December 2017, Reynolds American Inc. entered six types of Camel Snus for the FDA review process, which is required in order to gain a modified-risk status. Reynolds’ products called Frost, Frost Large, Mellow, Mint, Robust and Winterchill, became the first Reynolds American Inc. (RAI) to enter the process which could take up to a year to complete. As of then, a public-comment period under file FDA-2017-N-4678 had commenced. In response to this, Stroud submitted the below comment, highlighting the research that The Heartland Institute has carried out in relation to smokeless tobacco, whilst explaining why the products should be endorsed as harm reduction alternatives. Experts at The Heartland Institute, a nonpartisan think tank, have researched the effects of smokeless tobacco and tobacco harm reduction products for more than 20 years. According to our research, the smoke in combustible cigarettes poses the biggest threat to smokers. Therefore, smokeless tobacco can deliver nicotine more safely. Evidence indicates snus products, including Camel Snus, deliver nicotine effectively without the associated harms of combustible cigarettes. FDA recognizes a continuum of risk among tobacco products: Combustible cigarettes are the most harmful and smokeless tobacco and snus are less harmful. However, despite this acknowledgement, FDA regulations prevent snus manufacturers from marketing their products as less harmful than combustible cigarettes. In fact, the warnings required on snus products misinform the public. Therefore, The Heartland Institute urges FDA to regulate Camel Snus products and combustible cigarettes differently. Because FDA has recognized and accepted the continuum of harm posed by different tobacco products, FDA should approve the modified risk tobacco product application. Approving the application would clarify the health effects of different tobacco products and hopefully incentivize smokers to quit using combustible cigarettes. Despite a landmark study in 1964[iii] that linked combustible tobacco use to increased cancer risk, many efforts to reduce smoking have failed. Tobacco control efforts, including regulations, sin taxes, and public education campaigns, intended to reduce cigarette smoking have failed to significantly impact smoking consumption. Research shows it is the smoke created by the burning of tobacco, rather than the nicotine, that produces the harmful constituents found in combustible cigarettes. THR products—including smokeless tobacco, snus, electronic cigarettes and vaping devices, and heat-not-burn products—are already on the market in the United States. All these products effectively deliver nicotine without the risks associated with the burning of tobacco. Humans have used smokeless tobacco products for centuries, and these products were “the dominant form of tobacco used in the U.S. until the early 20th century.”[viii] Today, the most popular forms of tobacco include moist snuff, chewing tobacco, and American and Swedish snus. Camel Snus is very similar to Swedish snus, and data from Sweden and other countries provide significant evidence that snus poses considerably fewer risks than combustible cigarettes. Dr. Brad Rodu, a senior fellow at The Heartland Institute, has conducted more than 20 years of research on the effects of smokeless tobacco. R.J. Reynolds first introduced Camel Snus to “several major metropolitan areas”[xiv] in 2006, offering three varieties: “Original,” “Frost,” and “Spice.” Camel Snus became available nationally in 2008. R.J. Reynolds has more than 10 years of data examining the potential risks associated with Camel Snus. Moreover, included in the modified risk tobacco application are a plethora of studies analyzing the chemistry, toxicity, carcinogenicity, and perception of Camel Snus. R.J. Reynolds’ evidence aligns with ample evidence that shows smokeless tobacco and snus products are less harmful than combustible cigarettes. FDA has acknowledged that nicotine can be “delivered through products that represent a continuum of risk,”[xvi] and it has cited tobacco products “that must be lit and burned to use them”[xvii] as the most harmful. But FDA has yet to approve a product standard that allows companies to advertise the reduced harm associated with their non-combustible tobacco products. FDA should approve the modified risk tobacco product application for Camel Snus because FDA has already acknowledged the continuum of risk among tobacco products. Approving this application would finally allow manufacturers to inform consumers of the reduced health risks associated with smokeless tobacco products. Data from Sweden and the United States provides indisputable evidence that smokeless tobacco is significantly less harmful than combustible cigarettes. Tobacco product users must be made aware of the continuum of health risks associated with all forms of tobacco. FDA should approve the modified tobacco risk product application for Camel Snus so that the public can more easily make well-informed health decisions. [i] “Submit Comments on Tobacco Products,” U.S. Food and Drug Administration, July 26, 2018, https://www.fda.gov/TobaccoProducts/Labeling/ucm198169.htm. [ii] Brad Rodu et al., “Vaping, E-cigarettes, and Public Policy Toward Alternatives to Smoking,” The Heartland Institute, February 20, 2017, pp. 12–13, https://www.heartland.org/publications-resources/publications/vaping-e-cigarettes-and-public-policy-toward-alternatives-to-smoking. [iii] “Smoking and Health,” U.S. Surgeon General, 1964, https://profiles.nlm.nih.gov/ps/access/nnbbmq.pdf. [iv] Brad Rodu et al., supra note 2, p. 11. [v] “Tobacco Harm Reduction,” Harm Reduction International, n.d., https://www.hri.global/tobacco-harm-reduction. [vi] Raymond Niarua, “Re-thinking nicotine and its effects,” Schroeder Institute for Tobacco Research and Policy Studies, Truth Initiative, December 2, 2016, https://truthinitiative.org/sites/default/files/ReThinking-Nicotine.pdf. [vii] “The Role Of Nicotine,” PMI Science, https://pmiscienceusa.com/a-new-option-smokers/nicotine-and-harm-reduction/ . [viii] Brad Rodu, “Swedish Tobacco Use: Smoking, Smokeless, and History,” American Council on Science and Health, May 12, 2004, http://acsh.org/news/2004/05/12/swedish-tobacco-use-smoking-smokeless-and-history. [ix] Raymond Niaura, supra note 6. [x] Brad Rodu et al., supra note 2, p. 13. [xi] Brad Rodu, “Helping Smokers Quit: The Science Behind Tobacco Harm Reduction,” American Council on Sciences and Health, December 1, 2011, https://www.heartland.org/_templateassets/documents/publications/acsh_helping_smokers_quit_booklet.pdf. [xii] Peter N. Lee, “Summary of the epidemiological evidence relating snus to health,” Regulatory Toxicology and Pharmacology, March, 2011, https://www.sciencedirect.com/science/article/pii/S0273230010002229?via%3Dihub. [xiii] Peter N. Lee, “Epidemiological evidence relating snus to health – an update review based on recent publications,” Harm Reduction Journal, December 6, 2018, https://www.ncbi.nlm.nih.gov/pmc/articles/PMC4029226/. [xiv] “R.J. Reynolds’ Snus Goes National,” Convenience Store News, October 20, 2008, https://csnews.com/rj-reynolds-snus-goes-national. [xv] Lindsey Stroud, “Research & Commentary: State Policies Help Promote Misperception that Nicotine Causes Cancer,” Research & Commentary, The Heartland Institute, March 19, 2018, https://www.heartland.org/publications-resources/publications/research–commentary-state-policies-help-promote-misperception-that-nicotine-causes-cancer. [xvi] FDA announces comprehensive regulatory plan to shift trajectory of tobacco-related disease, death,” U.S. Food and Drug Administration, July 28, 2017, https://www.fda.gov/NewsEvents/Newsroom/PressAnnouncements/ucm568923.htm. [xvii] “How Could Lowering Nicotine Levels in Cigarettes Change the Future of Public Health?” U.S. Food and Drug Administration, June 21, 2018, https://www.fda.gov/TobaccoProducts/NewsEvents/ucm600972.htm. [xviii] Lynn Kozlowski, “Origins in the USA in the 1980s of the warning that smokeless tobacco is not a safe alternative to cigarettes: a historical, documents-based assessment with implications for comparative warnings on less harmful tobacco/nicotine products,” Harm Reduction Journal, April 16, 2018, https://harmreductionjournal.biomedcentral.com/articles/10.1186/s12954-018-0228-8. [xix] Brad Rodu, “FDA must correct snus warnings,” R Street Institute, April 8, 2015, https://www.rstreet.org/2015/04/08/fda-must-correct-snus-warnings/.